The Assure Suite of tools can integrate with multiple systems. You can implement controls and run reports across your many business applications simultaneously. "I doubt we've even scratched the surface of what we can do with it." 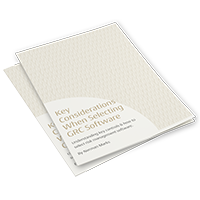 With the fully customizable ruleset, Gonzalez and the IT team were able to create and implement the SoD rules and conflicts that were specific to their business. Fastpath Assure® is able to see not only Wilson’s Trailers native security and access, but also any customizations and 3rd party security changes made to the SQL database. Read how Wilson was able to customize and implement their own SoD ruleset and minimize user access. "Fastpath’s products were designed for companies like ours and were easy to implement. With the standard templates for audit trail and conflict lists for SoD included with the product, we are able to generate meaningful reports in a matter of hours now vs. days or sometimes weeks before." To meet the audit requirements of Sarbanes-Oxley, SBA monitored changes to key fields in all of their systems. 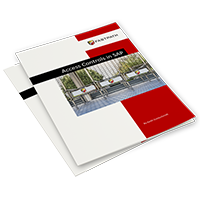 With the unique capabilities to record changes to all Microsoft Dynamics GP databases, Fastpath Audit Trail allowed SBA to monitor all of their databases and report on the data through a common, flexible reporting tool. Discover how this public company found audit success. 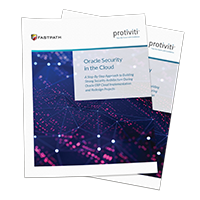 With an out-of-the-box implementation, Box installed Fastpath Assure themselves without the need to hire outside guidance. After easily installing the bundle in NetSuite, they were able to transfer all of their roles straight into the platform. Assure immediately started reporting on permission conflicts in need of mitigation. Learn how Box recognized immediate savings after implementing Fastpath Assure®.